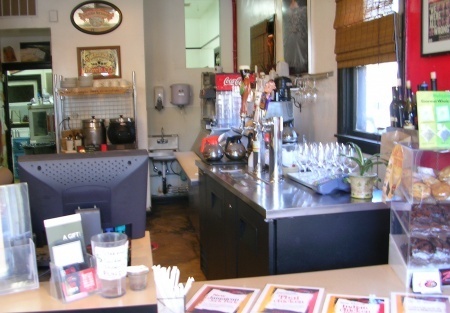 Selling Restaurants presents this unique, fast casual restaurant concept with a long history of profitable success with consistent growth in sales and a recession proof business model. This business is easy to operate and training is included. This is a rare opportunity for a buyer to take over this "Local Grassroots Idea" operating now for 10+ years. The business owner is also the creator of this concept and comprehensive training will be given to experienced as well as inexperienced operators who are highly motivated individuals willing to work hard to expand this simple to operate business opportunity. Buyer should have and entrepreneurial spirit with passion, fun, hard work ethic and the ability to interact well with the customers and the community. Initially the Seller is looking for owner operators involved in the day to day operations. The demand for this quality product is high and much of the past years of success are attributed to the simplicity of operation. There is seating for 48 inside this comfortable restaurant, along with an huge established "TO GO" business. There is a Type 41 Beer and Wine license also included in the purchase price. The Long lease is a dream at only $1.20 per sq ft which INCLUDES NNN and has a 4yr term + 2 x 5 year options. This is a Turn key opportunity with years of goodwill making it ideal for someone to continue to grow and expand this exciting concept while banking the profits. TAKE THE NEXT STEP. Select the bright orange button below title "want name and address." Register if you're a new client and sign the Online "Confidential Agreement." Then contact the Agent directly via email, submitting your experienced Resume and financial ability to purchase. This will also place you on our exclusive Buyer's e-mail list, giving you first look at our new listings.This is a Paramount Restaurant Brokers, Inc. listing.